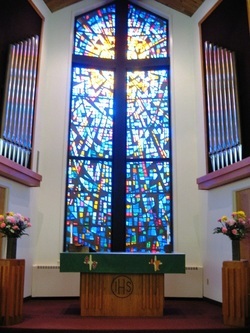 Immanuel Evangelical Lutheran Church was founded on April 4, 1792. We ministered to the Frankford community of Philadelphia PA, until 1974 when we moved to the Somerton area. ​Use the links below to view our history, our campus, our stained glass windows and our Newsletters.